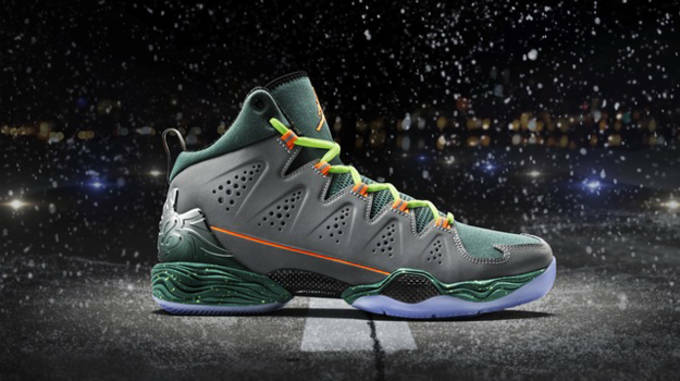 Christmas is here and you know what that means, a jam-packed day of basketball and all of the holiday-themed sneakers that come with it. 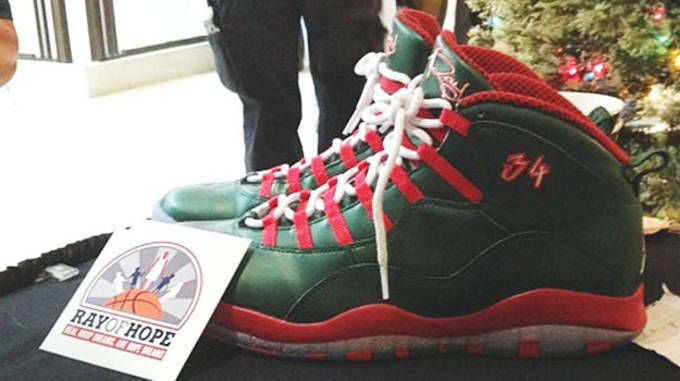 Here are some of the best of the pre-announced and leaked holiday sneakers, what&apos;s your favorite so far? 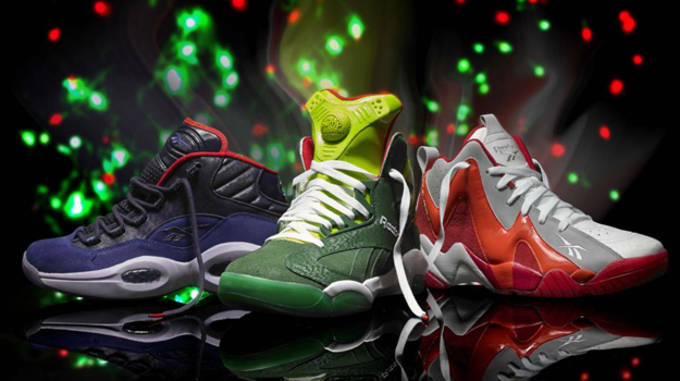 Reebok Classic looks to be playing the role of Santa this season, as the brand unveils a special "Ghost of Christmas" pack that includes three iconic models with a holiday twist: Question Mid “Ghost of Christmas Future,” Kamikaze II Mid “Ghost of Christmas Past” and the Shaq Attaq “Ghost of Christmas Present.” Sure as hell beats a lump of coal. 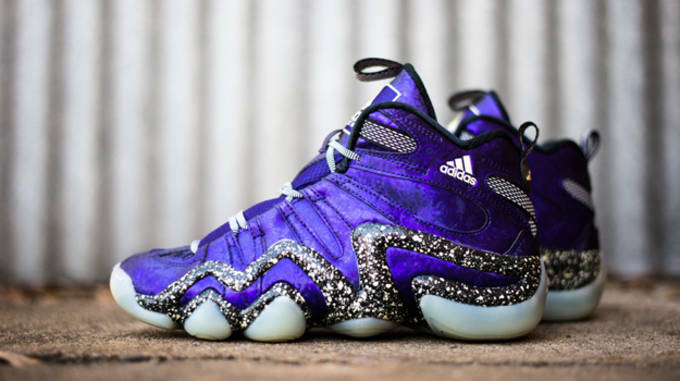 adidas Crazy 8 "Nightmare Before Christmas"
Naughty or nice, everyone deserves a pair of the Crazy 8 "Nightmare Before Christmas." 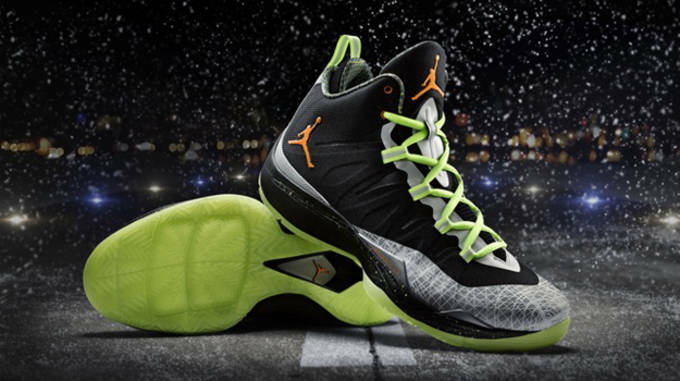 Jordan CP3.VII "Flight Before Christmas"
Jordan Melo M10 "Flight Before Christmas"
Air Jordan 10 PE "Christmas"
And the award for the best Christmas Day 2013 sneakers goes to...Ray Allen and his green and red Air Jordan 10 PE&apos;s.
Jordan Super.Fly 2 "Flight Before Christmas"
The Jordan Super.Fly 2 "Flight Before Chirstmas" is to be worn by Blake Griffin during the Clippers&apos; interstate matchup against the Warriors. 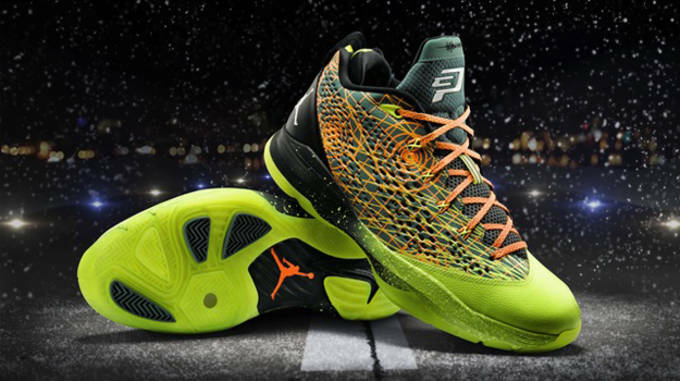 The shoe will be available for fan purchase in limited quantities starting today, Dec. 24. 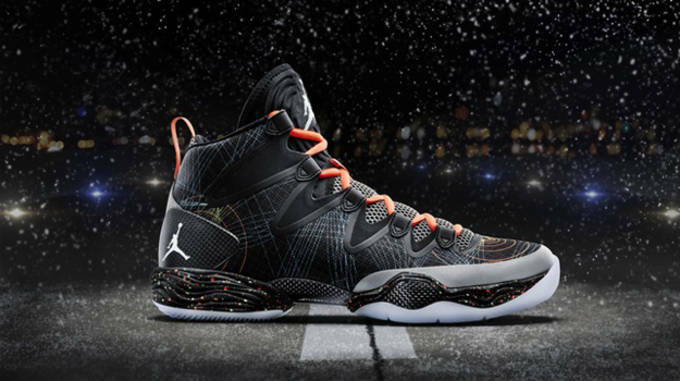 Air Jordan XX8 SE "Flight Before Christmas"
OKC’s Russell Westbrook will take flight in a blacked out version of the Air Jordan XX8 SE on Christmas Day. Not much traditional holiday action going on with this shoes, but the radar imagery on the upper is a nod to all the traveling done during the holiday season. 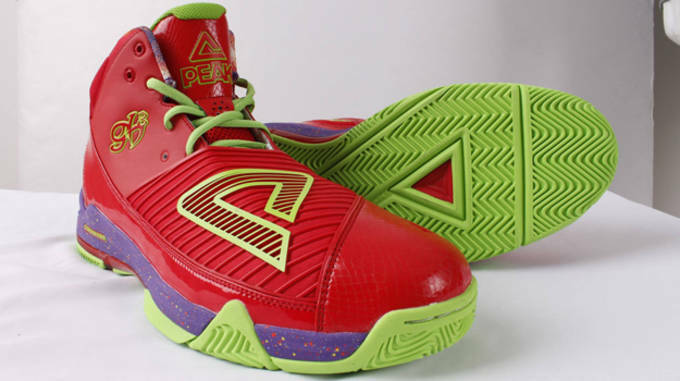 PEAK Team Altitude PE "Christmas"
So what if George Hill the Pacers aren’t on the Christmas Day NBA schedule—that didn’t stop PEAK from rolling out a Christmas-themed version of Hill’s go-to Team Altitude sneakers. 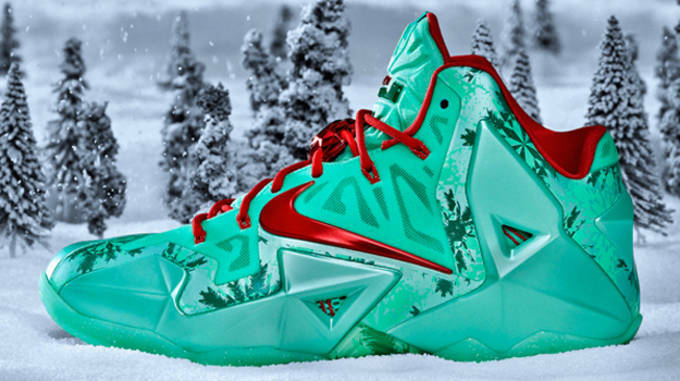 The Nike LeBron 11 "Christmas" has gotten mixed reactions in the sneaker community thus far, but there&apos;s no question the shoe is holiday worthy. 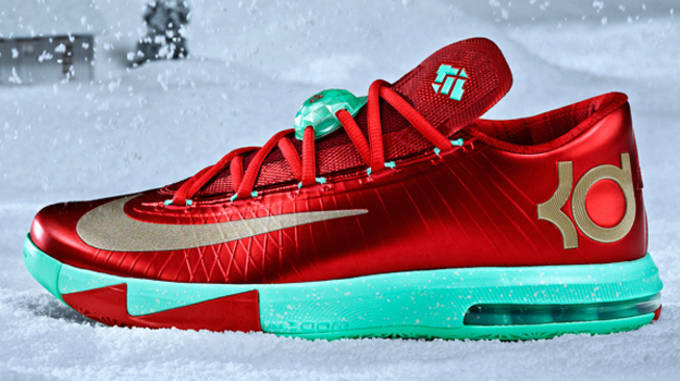 The KD VI "Christmas" is basically a basketball shoe wrapped in a Christmas sweater. 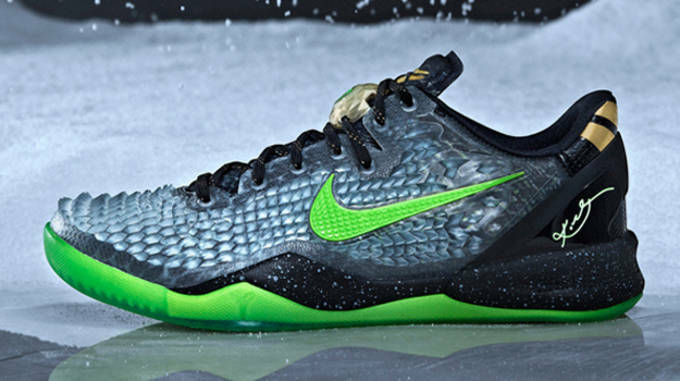 The Kobe 8 System sheds its skin to give way to the Kobe 9 Elite in 2014. Now if only Kobe could get a new leg too.